Now that the dust is settling from the major announcements today, we've compiled a list of few smaller items of interest from today's media event. 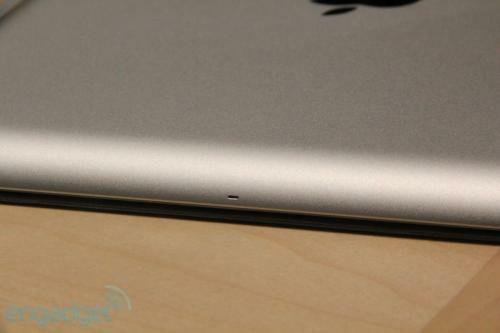 - iPad 2 Microphone: With the second-generation iPad, Apple moved the microphone from next to the headphone jack to the center of the device's top edge. The change explains the "mystery port" seen on cases that surfaced as early as mid-January. - No iOS 4.3 for Verizon iPhone: As noted by Apple during the media event and on the iOS preview page, iOS 4.3 is compatible with both iPad generations, third- and fourth-generation iPod touch models, the iPhone 3GS, and the iPhone 4 GSM model. 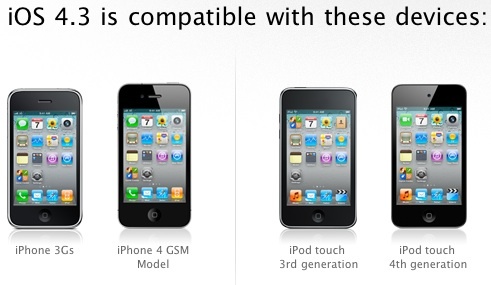 The list excludes the CDMA version of the iPhone introduced on Verizon earlier this year, which debuted with iOS 4.2.6. While iOS 4.2.6 contains some of the features found in iOS 4.3 such as personal hotspot functionality, other features such as Safari and AirPlay improvements are not yet found on the Verizon iPhone. It is currently unknown why the Verizon iPhone will not be seeing an update to iOS 4.3 alongside the other devices. - iMovie and GarageBand Compatibility: According to Apple's iMovie page, the new universal iMovie application for iOS will be compatible with the iPad 2, iPhone 4, and fourth-generation iPod touch, but not the original iPad. The new GarageBand application for iPad will, however, be compatible with both first- and second-generation iPad devices, according to Apple engineer Danny Patterson.